A car accident comes without any warning and can leave you and the passengers in your vehicle with a wide variety of injuries, some that present themselves quickly and others that may not show themselves for some time. Car accidents are incredibly jarring both physically and emotionally. Suddenly, whether the accident was your fault or not, you are faced with hospital bills, missed work, car repair bills and the need for time to heal. Seeking medical care should always be your first priority after a car accident. Advanced Medical of Twin Cities can help you identify potential injuries after a car accident, develop a detailed and personalized treatment plan and provide you with the resources and support you need to return to your pre-accident condition. One of the most common questions that we are asked is whether there is a set time limit to file a claim after a car accident. Generally, you should know that the time limits for accident claims vary based on your insurance carrier as well as the state in which you live. In the state of Minnesota, you are expected to file a claim with your insurance carrier quickly – usually within a few days or weeks (at most). If you have been injured and plan to file a civil lawsuit, the statute of limitations in our state is two years. This means if you are the driver, passenger, or even a pedestrian injured, you should file within 24 months of the date of your accident. The timing of when you file your lawsuit is tricky. Filing too soon can mean that you are not compensated for the extent of your injuries if you have lingering symptoms that need treatment. Waiting too long can risk missing the deadline. In order to build your best case, you should work closely with your healthcare provider treating your injuries so that you can make the best possible decision about filing a lawsuit. The team at Advanced Medical of Twin Cities work closely with those injured in car accidents get back to their pre-accident condition. We use medical and chiropractic treatment to help those suffering from all types of car accident injuries, including back pain, whiplash, muscle spasms, arthritic changes, pinched nerves and more. 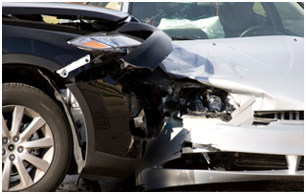 We understand the physical and emotional trauma of a car accident and can help explain your injuries to you so that you can make the best possible decisions about recovering any expenses you incurred as a result of the accident.